Welcome to Graham Tire, your one-stop-shop for all your tire and auto service needs. 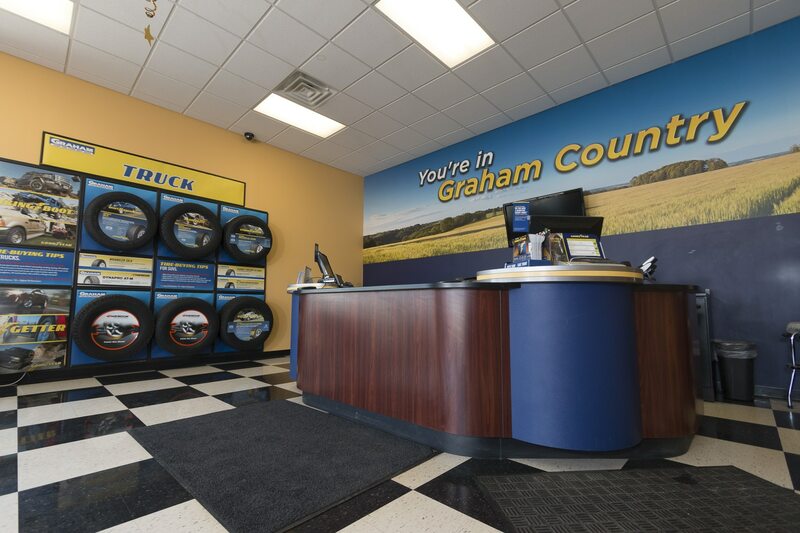 Graham Tire Company of Lincoln, Nebraska is part of the Graham Tire Group that operates in 4 Midwestern states and is one of the largest independently owned tire dealerships in the United States. Graham came to Lincoln, Nebraska in 1979 and now operates 5 retail outlets, a commercial tire service center, and a Mighty Auto Parts wholesale distributorship. Graham Tire employs approximately 75 quality individuals in Lincoln. Graham Tire is known for its excellent customer service, nationwide warranties, and every day low prices on tires and auto services. The company has always strived to maintain their reputation for excellence within the industry. Graham Tire only provides consumers with the best quality brands, including Goodyear tire sales, Dunlop tire sales, Kelly tire sales, Hankook tire sales, Cooper tire sales and Titan tire sales. Graham Tire also offers 24-hour emergency road service, commercial tires, retreading, farm tires, foam filling, new wheels, and alloy wheel repairing and painting. We are proud to be part of the Cornhusker State and we share those Nebraska values that make this a great place to live and work. We will work very hard to always exceed our customer’s expectations.